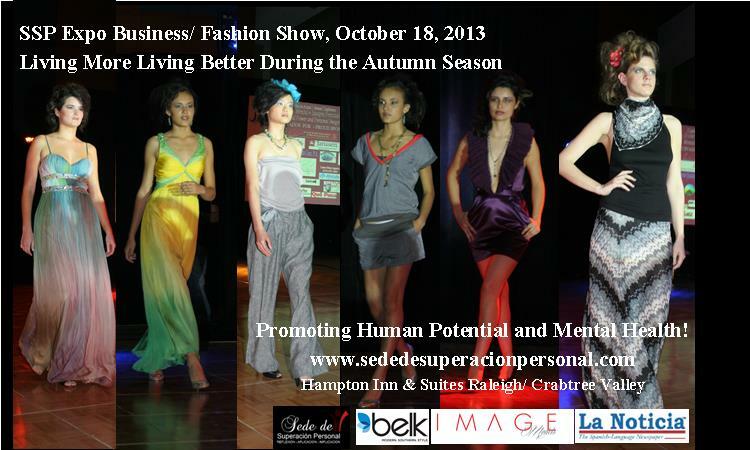 Living More Living Better During The Autumn Season Fashion Show 2013 is a initiative of Sede de Superación Personal LLC, Belk and Image Models for projecting personal image as part of human potential and mental health. Reservation required for the Fashion Show. Attend to the Business Expo from 2:00 p.m. - 5:00 p.m. Look for the SSP exhibit and request a ticket for the raffle for a cash price. Ask for additional ticket for the raffle for a cash price at the Fashion Show. $75.00 per person/ Include Fashion Show, Forman Dinner, Prices, Entertaining and Dance. $140.00 per couple/ Include Fashion Show, Formal Dinner, Prices, Entertaining and Dance. The formal dinner will be held immediately following the fashion show, accompanied by a medley of romantic songs and musical performances. All participants, members of the SSP Network Entrepreneurs Club and Friends of SSP, are welcome to the formal dinner. Reservations are required. After a delicious and appetizing feast get comfortable and open your mind to 30 minutes of training. Want to help your business succeed? 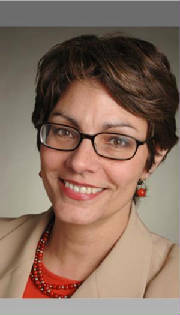 Pat Martinez one of the most prominent entrepreneurs and experienced in leading companies such as i2 Integrated Intelligence, and Fotune 500 Companies will teach you about business best practices. Did you get tickets for the raffle for cash prices during the Business Expo? Well, get them out!! Because after a delicious dinner, chat with new contacts, and training from Pat Martinez, it's time to for you to win your prize. This includes cash prizes and goodies presented by our Expo Business 2013 Sponsors. Good luck to you! Did you win a prize? Congratulations! Now it's time to move your body and dance to a variety of music until 11:00 p.m. Maybe a little more if the hotel manager is happy. Energize and groove to salsa, merengue, bachata… Etc. Please visit SSP website and keep supporting our events. We can continue working together building a clean, healthy and stronger economy for our businesses and state. Remember to “Live More Live Better” Thank you for your participation at the SSP Expo Business 2013.